Use this floor sanding driver with your 17 inch floor machine. Sandpaper driver is made from a plastic one-piece block. 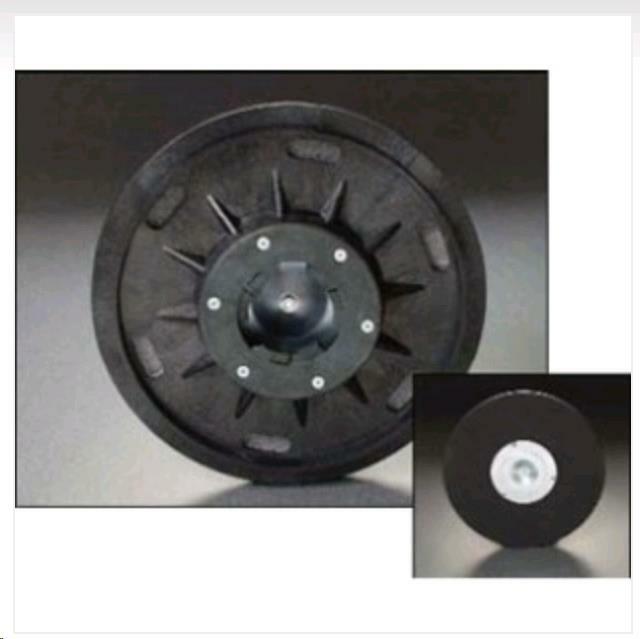 A 3/8" foam pad and stamped metal centering device provide the holding power. Comes equipped with a standard style clutch plate. ** Please call us for any questions on our sandpaper driver 17 inch rentals in Fairview Heights IL.